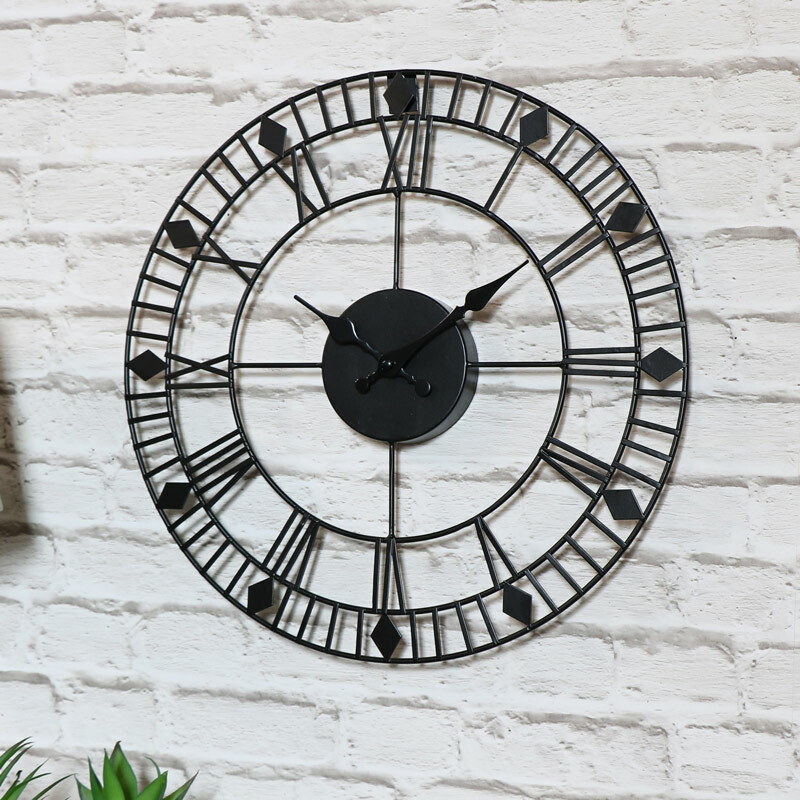 Add some retro style to your home with the fantastic black painted skeleton style wall clock, the best way to make sure you are on time! 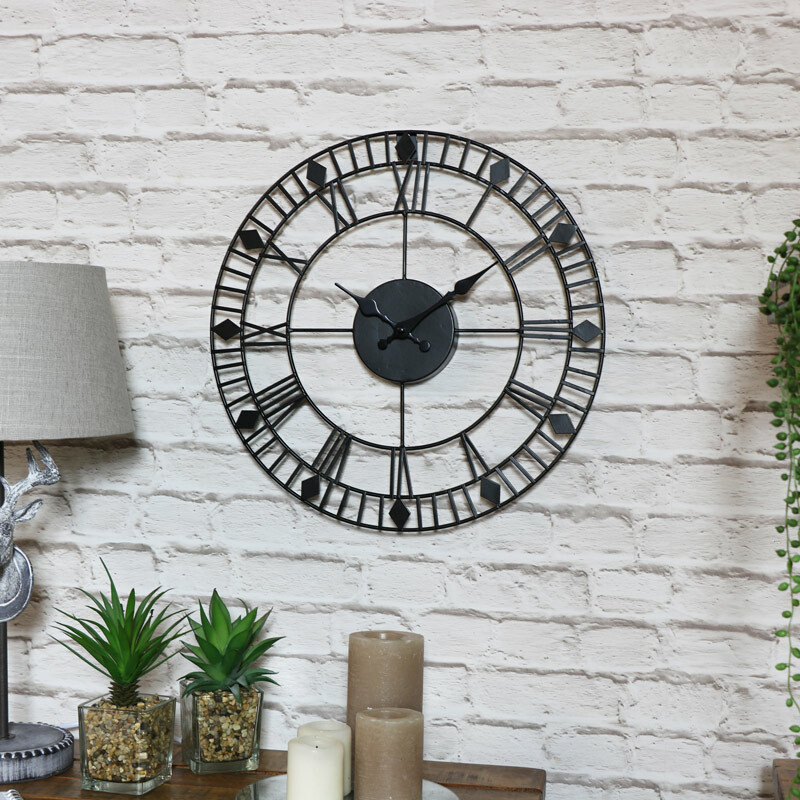 With Large easy to read Roman Numerals, this clock will look perfect in any room with its classic vintage style, simple but ever so full of character. Perfect for hanging in the living room, hallway or kitchen. Made from iron in a black painted finish. Takes x1 AA battery and is easily wall mounted from the hook on the back.